A Professional Cleaning Company Since 1979. American Building Janitorial is a full service cleaning company based on the expertise of seasoned professionals. Routine and specialty services are professionally provided in California, Nevada, Arizona and Texas. While many work at developing "Better" Service contracts for longer periods, we are always striving to maintain the most effective customer service. American Building Janitorial prides itself on providing our customers with the latest in technology and equipment! American Building Janitorial works on a simple thirty day agreement with the understanding that excellent service builds lasting relationships. We would like the opportunity to provide a proposal for service tailored to your specific cleaning needs. Get started on a Cleaning Service set-up. Give your space the look it deserves! Are you looking for competent, professional cleaning company? 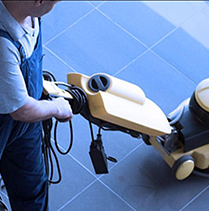 American Building Janitorial has been providing excellent service for decades now. We are trustworthy, professional, competent, and respond quickly to additional requests that the client has. we come highly recommended, most of our business is by word of mouth. in the Southern California Greater Area Including Long Beach, Los Angeles and Orange County.